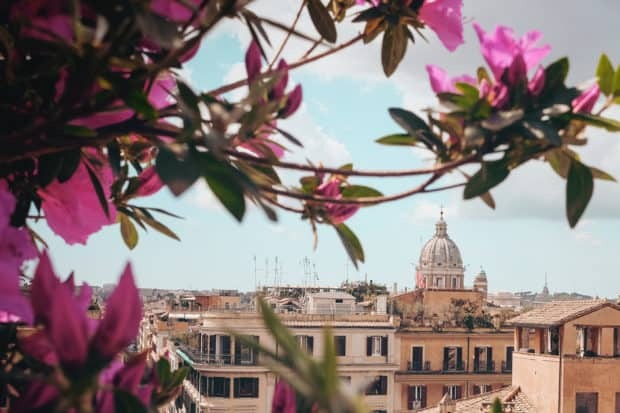 This July and September, Rickie De Sole will lead a chic getaway to the eternal city as the host of Indagare's inaugural Insider Journey with Vogue. Photo courtesy Vogue. Having worked at Prada, W Magazine and Vogue, where she is currently the Head of Fashion Initiatives, Rickie De Sole has a long history of traveling between her home in New York City and Italy’s most stylish cities, including Milan, Florence and (certo) Rome. This summer and fall she is leading our Insider Journey, “A Fashion Lover’s Rome,” where she will open doors to the fashion ateliers of Fendi, Valentino, Bulgari and others. Here the trendsetter shares her favorite spots in the Italian capital and style tips learned while on the road. In July and September (July 14 – 18 and September 25 – 29, 2019), Rickie de Sole will co-host A Fashion Lover’s Rome, Indagare’s inaugural Insider Journey curated in partnership with Vogue that offers behind-the-scenes access and VIP receptions at the flagship ateliers of Fendi, Bulgari and Valentino—and more. Click here for details and book your spot today. 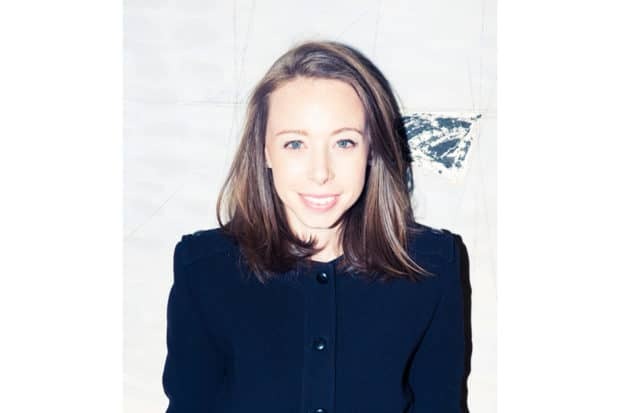 Rickie De Sole is the Head of Fashion Initiatives at Vogue in New York. Photo by Jake Rosenberg. Insider Journeys: As your father is from Rome, did you visit much while growing up? Rickie De Sole: Yes, I used to visit my grandparents in the EUR neighborhood of Rome as child. I remember walking through the Roman Forum before it was blocked off to visitors and climbing on the ruins. Times have changed! In more recent years, I return to Rome often as my godfather lives there. IJ: What are the best style tips that you’ve picked up from Italians? RDS: Have fun with fashion. Italians are great at embracing bold colors and mixed patterns. Fit is also very important—having clothes well-tailored is a must. IJ: What visits are you most excited for on the upcoming Insider Journey that you will be leading, hosted in partnership with Vogue and Indagare? RDS: I think people forget that Valentino’s atelier is in Rome since they show their collections in Paris. Their offices are right in the center of town, overlooking the historic Piazza Mignanelli. It’s as if you have stepped back in time when visiting the atelier. 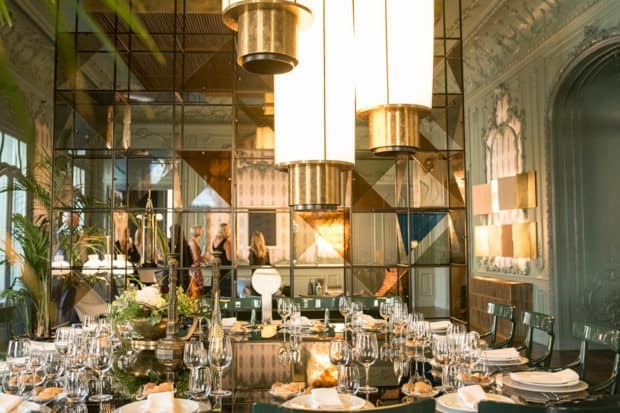 A private dinner reception for Insider Journey guests at the Fendi private suites in Rome, Italy. IJ: What makes Rome different from Milan or Florence in terms of fashion and style? RDS: I think style in Rome is more classic. Romans take fewer fashion risks than the Milanese, but their style still has a cosmopolitan nature. Think Audrey Hepburn in Roman Holiday. IJ: What designers or brands are you most excited about right now? RDS: I love the timelessness of Valentino. IJ: What’s your favorite restaurant in Rome? Must-order dish? RDS: Salumeria Roscioli is the perfect low-key spot for lunch with a delicious menu of Roman classics like cacio e pepe. Giolitti for gelato is also a must. IJ: What’s a great one-stop shopping street? RDS: Via del Babuino—a beautiful and quiet street full of antique stores—is fun for window-shopping. Walking down Via Condotti is also always a highlight for fashion and accessories. IJ: Who are some of your favorite Italian designers or artisans? A view from a private rooftop in Rome, Italy. 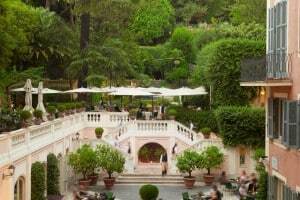 IJ: What’s your favorite hidden gem in Rome? RDS: Trastevere neighborhood for its ambiance. The beauty of Rome is that you can walk everywhere. A nighttime stroll after dinner through the center of town is not to be missed. IJ: What are your travel rituals for staying fresh and stylish? RDS: Always get a manicure and pedicure before a trip. IJ: You are on the road a lot. What are some of your packing tricks? RDS: Packing all of my favorite toiletries: I am a La Mer loyalist and always bring the Soft Cream and Lip Balm on every trip. Clothing wise, the less-wrinkled the fabric the better. I favor dresses because of the versatility they offer. Rome can be very hot in the summer so packing a hat and suntan lotion is important. The beauty of the city is the ability to walk everywhere, so packing ballet flats and flat sandals are a must. You can follow Rickie’s travels on Instagram @rickiedesole. Click here to explore all upcoming Insider Journeys.